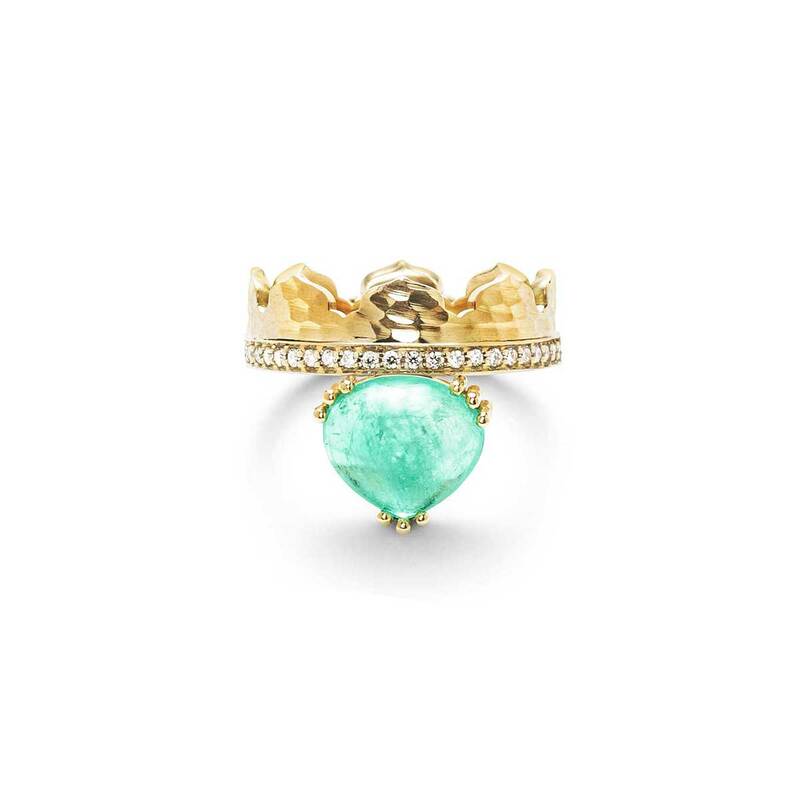 The king (or queen) of all stacking rings, this crown ring features a 2.96 tcw cabochon Muzo emerald with 0.22 ctw diamond melee in 18K hammered and mattee fairmined yellow gold. 6.5 mm band width. 16.5 mm width including emerald. Size 7. 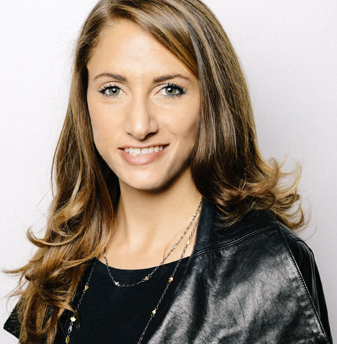 A collector by nature, Dana Bronfman discovered her passion for jewelry throughout her global travels. A bracelet from Istanbul, a Native American heirloom passed on from her grandmother—the pieces she amassed told Bronfman’s own story, and she yearned to craft pieces that would become part of other people’s story. Her namesake line, which debuted two years ago, draws inspiration from such influences as Salvador Dali and industrial architecture. 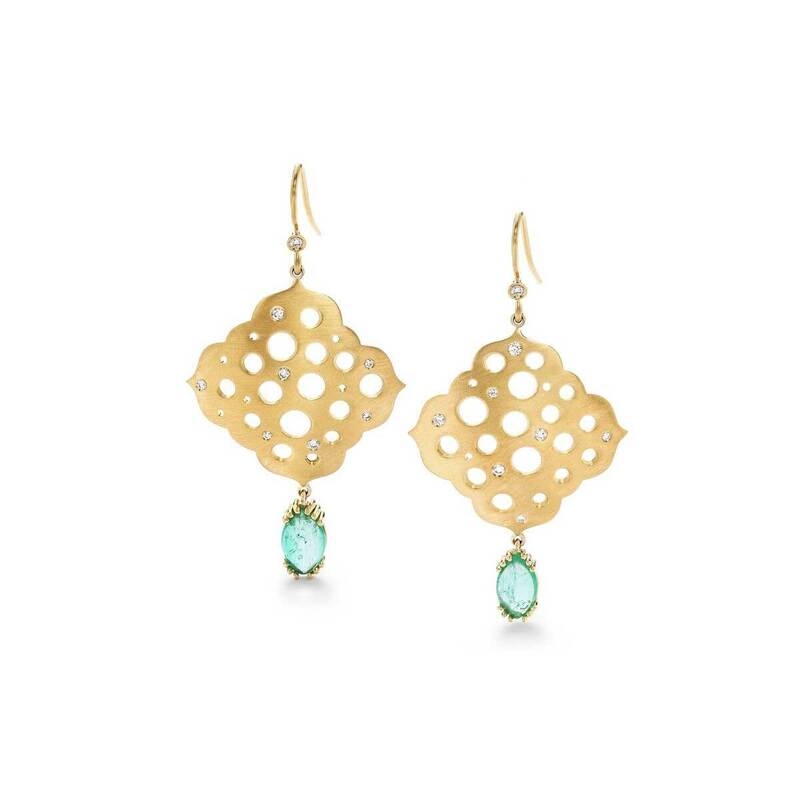 Her collection is rife with bold, modern designs that mix metals and negative space in artful and unexpected ways. 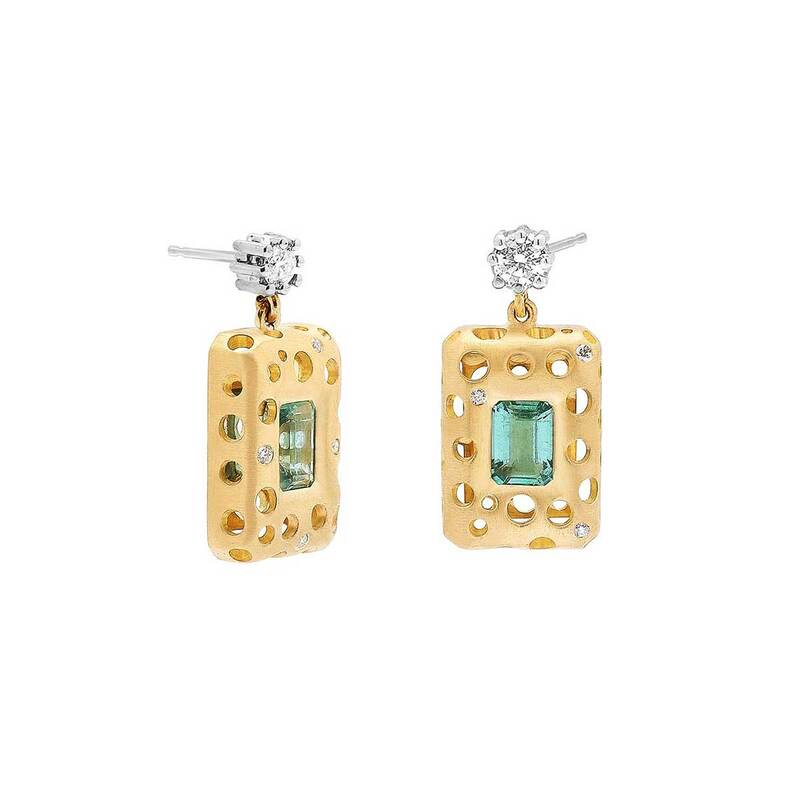 Classically trained as a metalsmith at the Revere Academy of Jewelry Arts in San Francisco and as an apprentice in Santa Fe, Bronfman now lives in New York City, where each piece is crafted by hand from reclaimed 18K gold, post-consumer diamonds and ethically sourced gemstones. In 2017, she won Fashion Group International's Rising Star Award for fine jewelry. 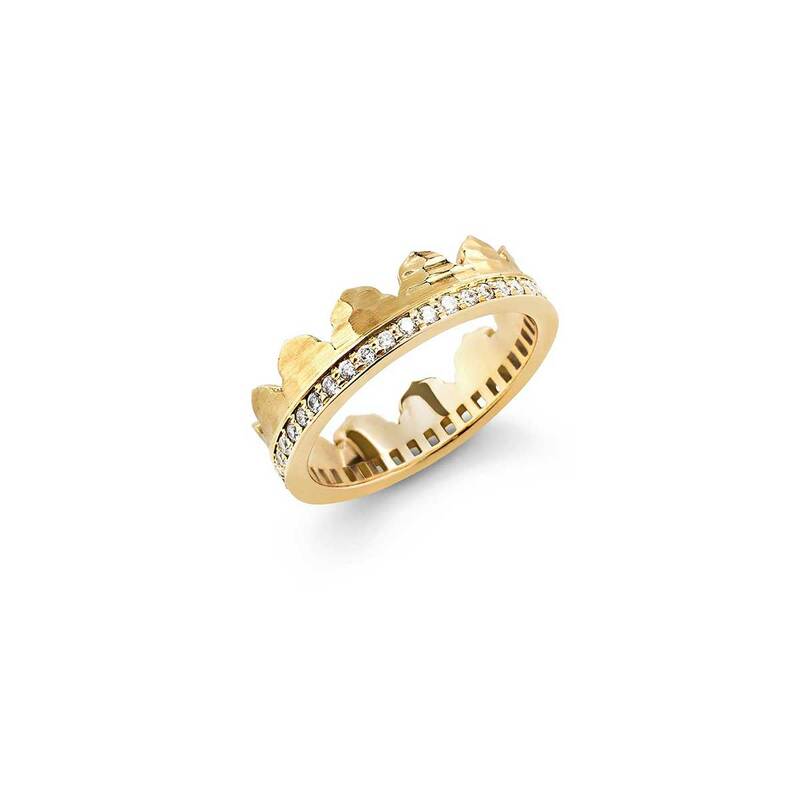 This ring is grand in stature and design. 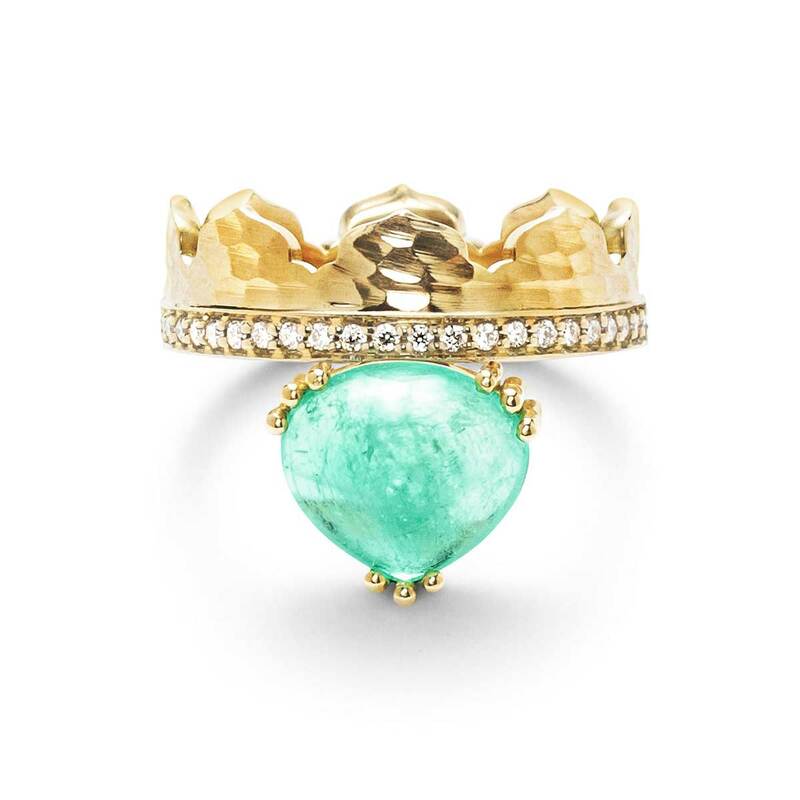 We love the exquisite cabochon emerald and crown-like carved band. 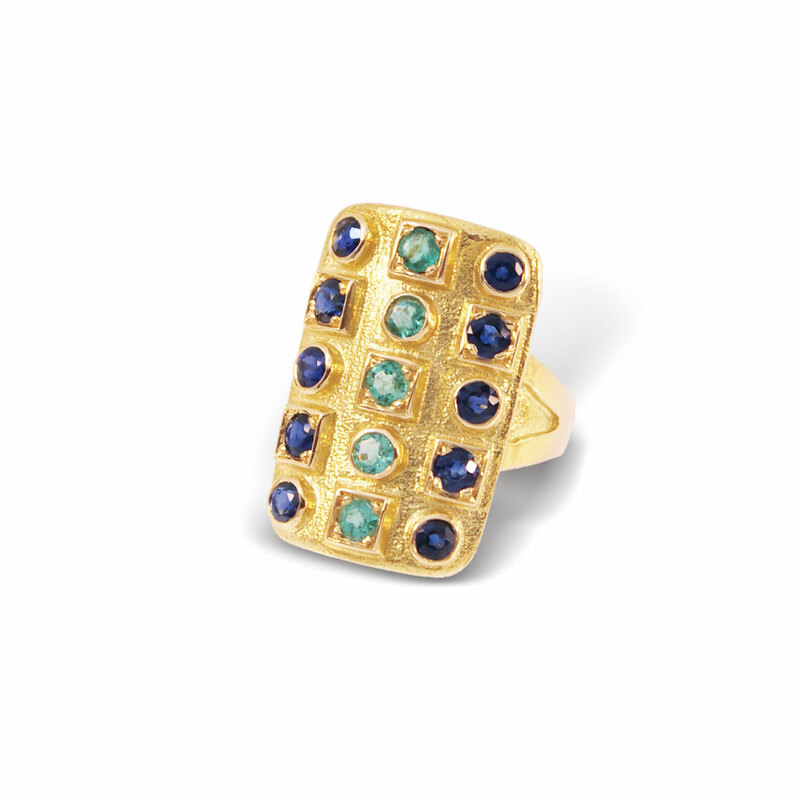 Try stacking two to make an even larger statement.